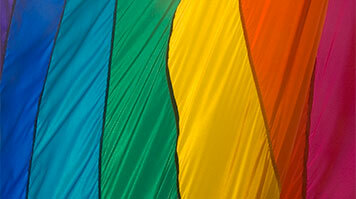 Stonewall is a national charity that works to achieve equality and justice for lesbians, gay men and bisexual people. The event is hosted by LSBU's sexual orientation network for staff, SONET, and will focus on network groups and the pivotal role they play in LGB equality in workplaces. The workshop will tackle the particular challenges faced by higher education institutions, aiming to develop a clear vision of how LGB network groups can support organisations in achieving their objectives and overcome challenges. "As a member of Stonewall's Diversity Champions programme, this will be an excellent opportunity for us to connect and network with other universities to share best practice," says Dr Markos Koumaditis, chair of SONET. "We are proud to be working with Stonewall in this way to develop a clear understanding of the different functions of a network group, share experiences, and have an opportunity to create a wider network where we can explore opportunities for future collaboration," Markos explains. "We are delighted to be hosting this event today to showcase LSBU's commitment to an inclusive environment for our students, employees and partners," says Raj Brainch, organisational development projects lead for equality, diversity and inclusion initiatives. "LSBU is committed to the provision of equality for all, valuing diversity across all the dimensions of difference."